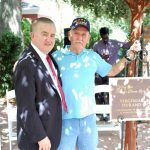 Beacon College officials dedicated the Virginia and Robert Durand Garden in a ceremony Friday at the new downtown pocket park. The 12,000-square-foot park inhabits what was Palmetto Street in downtown Leesburg and is appointed with drake elms, Brodie cedars, Washington palms, Natchez crape myrtles, and various other flora. Beacon College has forged a partnership with the Central Florida Disability Chamber of Commerce in support of twin entrepreneurship programs for veterans and for high school students with unique abilities, school officials recently announced. 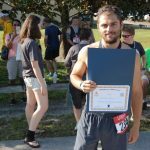 Recognized as the first American college or university accredited to award bachelor’s degrees primarily to students with learning disabilities, ADHD, dyslexia, and other learning differences, Beacon College in Leesburg, Florida is a nonprofit liberal arts school. 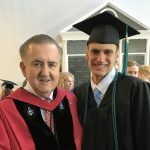 Beacon College President Dr. George Hagerty recently delivered commencement remarks at the Fletcher School in Charlotte, NC.  Similar to Beacon College — a private nonprofit liberal arts school and America’s first institution of higher education accredited to award bachelor’s degrees to students who learn differently — the Fletcher School is a private K-12 school for students with learning disabilities. 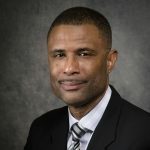 Darryl E. Owens, who serves as director of communications at Beacon College, has been elected to the board of directors of Community Health Centers. 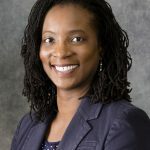 CHC directors appointed Owens to the board at their April 26 meeting. Launched in 1972, Community Health Centers is a private, non-profit organization that provides compassionate healthcare services to more than 66,000 under-served children and adults each year local communities that are insured, uninsured, and under-insured. Beacon College will confer honorary doctorates on a prominent international advocate from the United Arab Emirates and a former Florida legislator and his wife at its 29th Commencement Exercises Saturday, May 5 for their influential efforts on two continents to enhance the lot of children and young adults with learning differences and developmental disabilities. 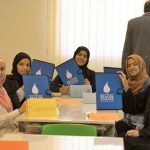 On the heels of leading a successful educator’s workshop in Mumbai on learning disabilities, a six-strong Beacon College team jetted to the United Arab Emirates to run a two-week residential program for college-bound youth with learning differences. “Project Discovery” targeted individuals ages 15 to 22 with learning differences. Matt Berger knows the value of a good suit. “One thing that I’ve learned over the years that you dress for success,” he says. 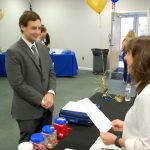 “If you were a good suit, they notice.” Dressed in his two-button gray business suit, Berger hoped the companies and organizations on hand Wednesday for Beacon College’s annual job fair would take notice of his sartorial flair and his gussied up resume.